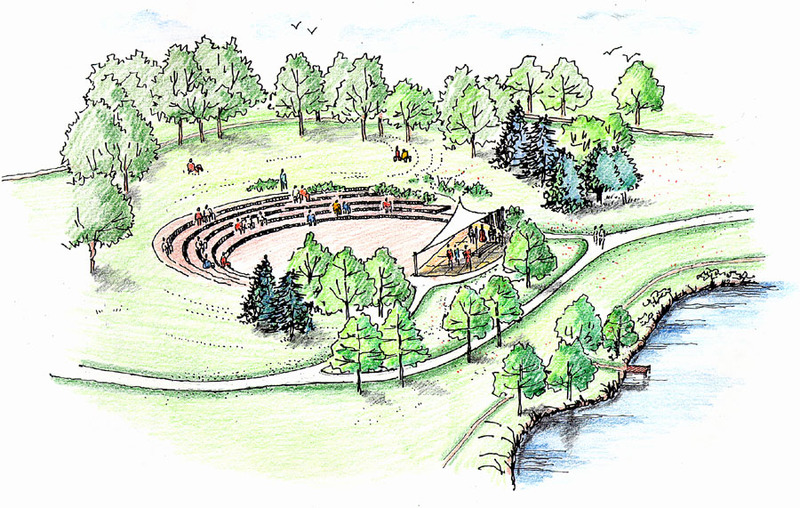 The Friends of Pope Park and the Knox Parks Foundation retained CRJA-IBI Group as lead consultant for the development of a Master Plan for Pope Park. Pope Park was created in the early 20th century from a gift of land by Colonel Albert Pope, a leading Hartford businessman. He retained the firm of The Olmsted Brothers to prepare the first site plan, which contained formal gardens as well as rolling lawn and shade areas sloping gently to the Park River, for use by the workers of Hartford. Today the park comprises approximately 70 acres in a dense residential area southwest of downtown. Divided by Interstate 81, the park has been profoundly changed by the undergrounding of the Park River and the addition of a city pool and community center. 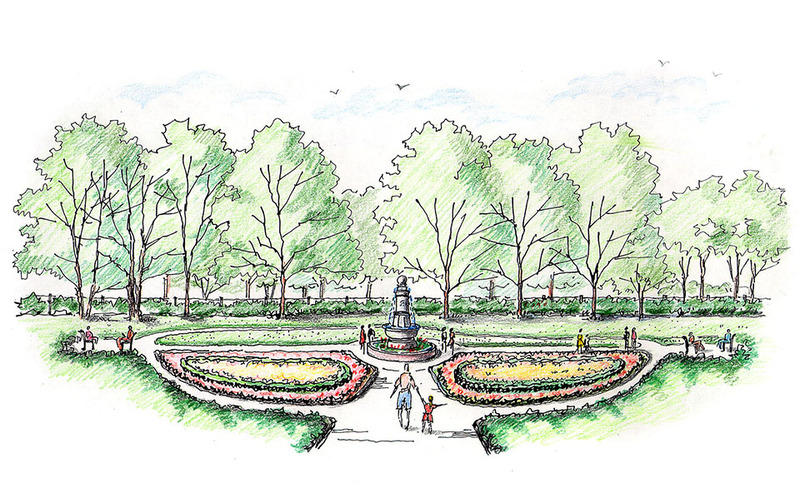 The design goals of the Master Plan were to respect and enhance remaining historic features, organize and improve active recreation, and create new amenities such as an amphitheater, playground, bicycle trails connecting with regional trails, and passive recreational spaces. A critical component of the master plan is the proposed removal of a City road through the park. CRJA-IBI Group led the master planning effort, including site analysis, design alternatives and the public information process. The Hartford City Council unanimously approved the Master Plan.